EG has teamed up with AMD to gift one of their fans with a brand new gaming PC processor! 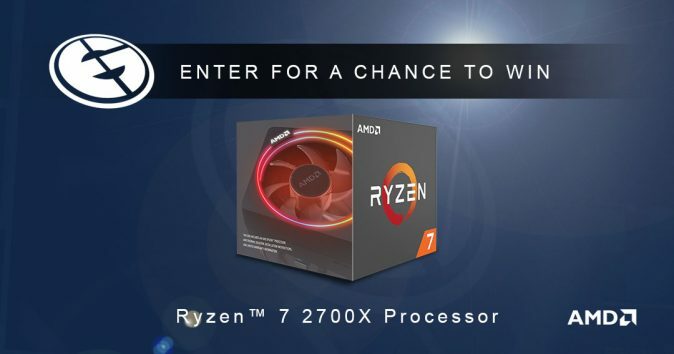 To enter in this EG &amp; AMD Chongqing Major Giveaway grab your free entries by following few simple steps listed down below! The AMD Wraith Prism represents AMD’s ultimate cooling solution for air-cooled processors. The Wraith Prism goes where no stock cooler has gone before with per-RGB LED control around the illuminated light ring and transparent fan blades for movement and rainbow color effect control. But the Wraith Prism isn’t just a pretty face; we’ve increased motherboard and RAM compatibility by minimizing the profile and added direct-contact heat pipes and fan overclocking control to increase thermal effectiveness, too. User-controlled RGB illumination relies on socket AM4 motherboards that support this feature, like the ASRock RGB LED, ASUS Aura sync, Biostar VIVID LED DJ, Gigabyte RGB Fusion, and MSI Mystic Light.